Get your products in front of more retailers. Connect with more retailers and buying organizations. With a network of more than 80,000 vendors, distributors, and logistics partners, SPS has the largest retail-focused network in the world. Connect with the world’s top retailers, 3PLs and more. As a member of our product sourcing community, you’ll have access to thousands of prospective partners. 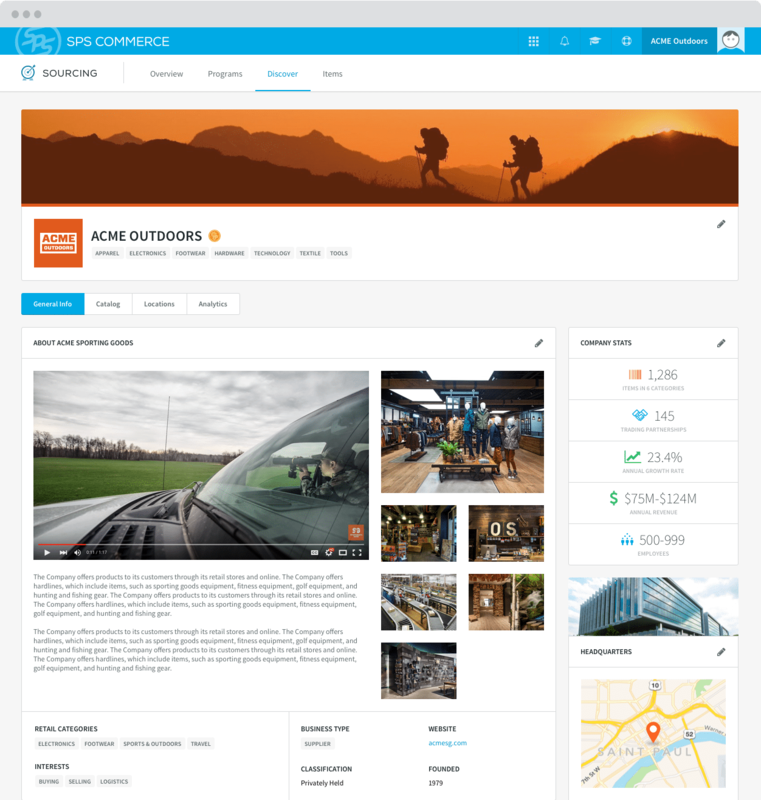 Showcase your products, e-commerce, fulfillment and technology capabilities and more with a rich profile. Find active sourcing opportunities as soon as you sign up, with guaranteed reviews from top merchandisers. Showcase your business with your unique profile. like ship direct-to-consumer, B2B integration and e-commerce fulfillment. with our simple, dynamic spreadsheet upload process. and fulfillment capabilities to potential retailers 365 days a year. with top retail merchandisers so you can easily locate direct-to-consumer-ready companies. It is definitely a competitive edge that distinguishes us from the dozens of other vendors competing for the same buyer’s attention. Our retail strategists are ready to help you grow your business.